NO, not that word! But don’t call me that one either. The word I’m referring to is ‘Cheap’; I prefer to think of myself as frugal. Since my husband was out of town this past weekend I decided to treat myself to a Spa day, the thing is I never left my house. Yup, I’m all about DYI when it comes to these things. First, I dyed my hair. Now you know my magic number; it’s 91. Then, because the carpet no longer matched the drapes; said carpet needed to be removed. No pain, no gain. The next bit of business was a pedicure. Those Ped Eggs sure work great; just don’t look at what you’re emptying out of them. 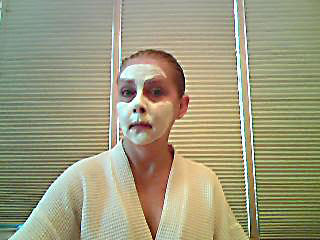 Last was the facial. Please note the blinds are down. This is because I would Never let anyone see me this way. You're still a cutie even with the face mask on. There is nothing like a bit of pampering! 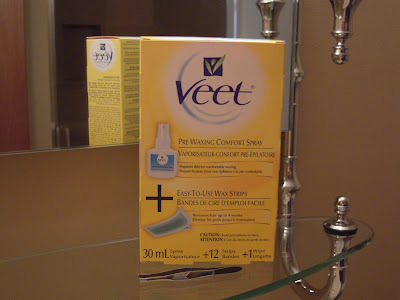 And just how did the VEET work out? Painful? And now you are all shiny and new! I just gave myself a pedicure. SO! The Ped Egg works? I might try it. It would be less intimidating than the dremmel that I use! Love the mask picture!! 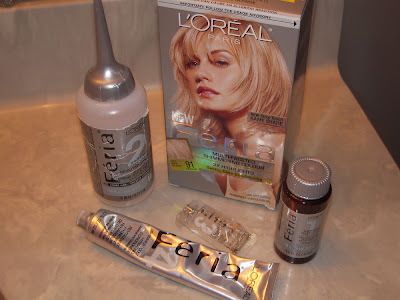 I'm a big fan of dying my own hair (and I use the same brand you do!). Luckily my hair is short, so I can change my hair color as often as I change my underwear...okay, well maybe I don't dye my hair THAT much but you get my drift. I also bought the Dr. Scholl's version of the PedEgg. Brilliant invention that little thing is! You are as cute as a button in those pictures - it seriously made me giggle - I wish I looked half as cute with goop on my face!!! I love my PedEgg. It's awesome. You're right though, the first time I looked at the leftovers I almost threw-up! Great pics! You're hilarious! Hehe! I also think the pedegg is great. I was resistant to buying one at first because we saw Alton Brown use one on a lemon to get the zest off, and after that my husband kept calling it "the foot zester". The PedEgg has forever ruined confectionery(powdered) sugar and parmesean cheese. Dude. That carpet-drapes thing? Just gave me a Sean Connery/Diamonds Are Forever flashback. "As long as the collar and cuffs match!" What is a ped egg? I was going to make a dirty comment about the carpet, something about the smoothness of hardwood floors, but I decided not to. Unless I just did, right then. Meh. I love Feria. And I've always wanted to try the Ped Egg! LMAO!!! Wouldn't let anyone see ya huh? Except the entire internet world! Loved this post! I'm a Ms Clairol girl myself 120 ;-) And I stick with my own colour cause hey ... that whole carpet matching drapes thing ... too much work! Then again ... Just go for the hardwood! Good for you!!! I'm a do-it-yourself spa girl, too, except for coloring my hair. Not that brave! 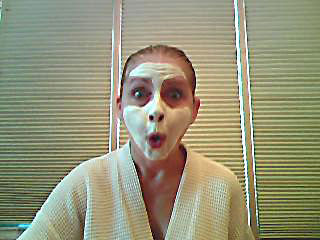 It cracks me up how precise you were with the face mask. I'm way more messy. Cool! It looks like you're getting prepared to put on make-up and rock on stage with KISS!